Google said on Google+ that they are now randomly polling Google Maps app users when they are viewing a place listing about that place. 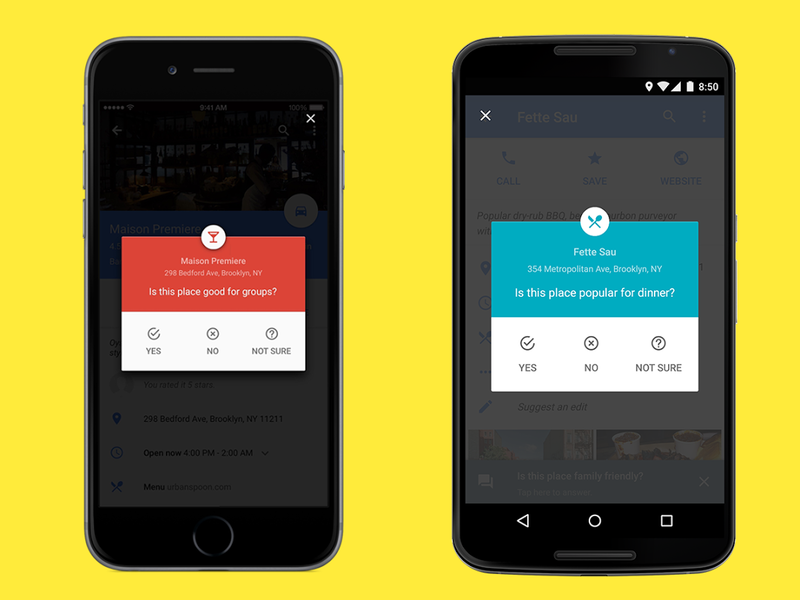 If you open the Google Maps app, search for a place to eat or hang out, Google may pop up a poll or a "riddle" as I think they are calling it. Is this place good for groups? Is this place popular for dinner? I am sure there are many more questions but Google offers three answers, Yes, No or Not Sure. Linda said in the Local Search Forums that this gives you yet one more reason to "focus on customer service as well as SEO." Forum discussion at Local Search Forums & Google+.